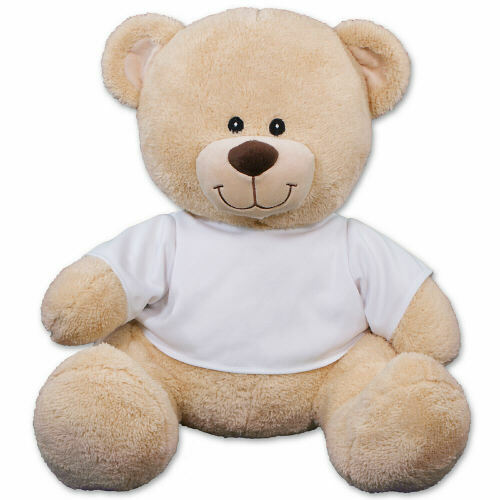 Celebrate your baby's very first Christmas with our lovable Plush Sherman Teddy Bear. Our holiday design is featured on our 11” Sherman Teddy Bear. Sherman has an irresistible look on his face along with a super-soft, cuddly feel. He has contrasting tan fur on the inside of his ears and his snout. Sherman is a truly unique gift because you may customize his t-shirt with any design and any personal message for free! This makes him an excellent gift for that hard to buy for person. Free Gift Wrapping and a Free Gift Card are included to create a thoughtful presentation. Sherman measures 11” tall and is surface washable. I was disappointed in the size. It states it is 11 inches but that would only be that size if the bear was standing. I thought it would be 11 inches in the sitting position. Additional Details Your baby's first Christmas will be one you'll always remember with a lovable keepsake like this. 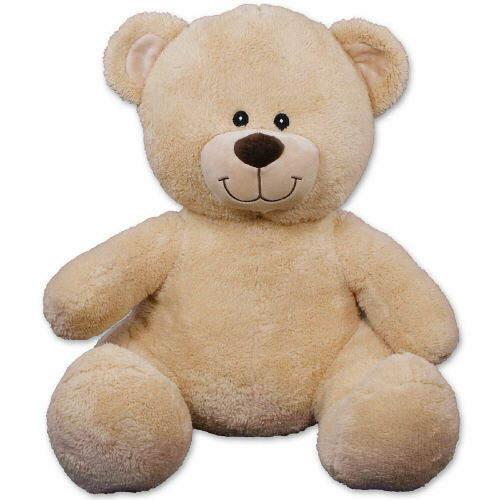 Shop 800Bear.com for all of your Plush Christmas Gift Ideas.